How Much Creatine Should I Take? - Vaxxen Labs, Inc.
Home / Nutrition / How Much Creatine Should I Take? How Much Creatine Should I Take for it to be Effective? At the very minimum, you should start your supplementation at 2 grams per day. No matter your physique. 2 grams will be enough for your body to sense the increase and your heavy lifting or high-intensity exercises should go a bit more smoothly as your muscles will have an extra amount of energy. There is a good chance you will be able to do a few extra reps every set or you will be able to perform cardio for a bit longer without feeling like you want to die. You will notice 2 grams right away. What to Eat to Maximize Benefit? Creatine and protein go hand in hand. Make sure your diet is comprised of protein with a nice balance of water and fiber. Creatine is a nonessential dietary supplement but it is really similar to protein and by combining the two together, you are creating a super compound that you and your muscles can leverage to improve your workouts. Combining protein and creatine has been proven to improve resistance exercise and sports performance without causing health problems in most humans . When do I Increase my Creatine Dosage? It doesn’t take long. You can safely increase your dosage by a gram a week, assuming you’re being diligent in taking the same amount daily. Continue on with your exercise and take the supplement in the morning before you start your day as part of your morning routine. You’ll be golden from there out. The most effective form of creatine will always be powder. Mix it right in to your morning shakes or into your pre-workout shake. You can always split your dose and do both. Other options include liquids, pills, and protein bars. It probably doesn’t matter how you’re going to be ingesting the creatine so much as it matters how consistent you are with it . It’s readily available at fitness centers, on the internet, and even at the grocery stores so there is no excuse for you to not be able to find a supply. That’s okay. 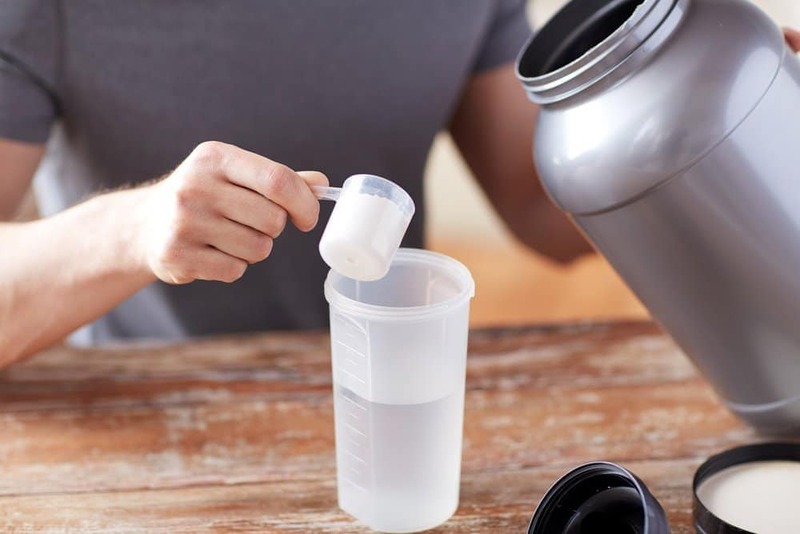 You just need to do a little bit more research to better understand what creatine exactly is and what it can do for you . The sooner you become friends with the supplement, the sooner you will see amazing progress in your muscular composition and physique. Take some time to really understand creatine by reading this in-depth creatine article we wrote last summer. Newer What Olive Leaf Extract Dosage Should I Take?